To improve co-operation, liaison, and comradeship of all the health care workers involved in the practice of critical care medicine in Hong Kong. To advance knowledge in Critical Care Medicine in Hong Kong. To provide expert advice, as and when required, to other organisations on matters pertaining to critical care medicine in Hong Kong. To liaise with similar organisations overseas and to promote exchange of expertise and information. 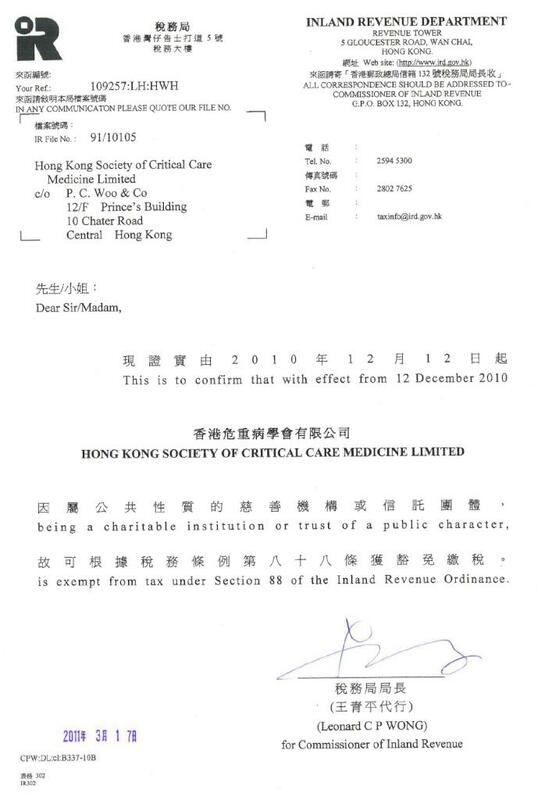 17 November 2008: The Hong Kong Society of Critical Care Medicine Limited was registered under the HKSAR Government Company Registries. 30 January 2009: The HKSCCM website was open on 30 January 2009. 21 July 2009: The Critical Care Medicine Foundation (CCMF) was founded to advance Critical Care Medicine in Hong Kong as an important specialty in its own right. 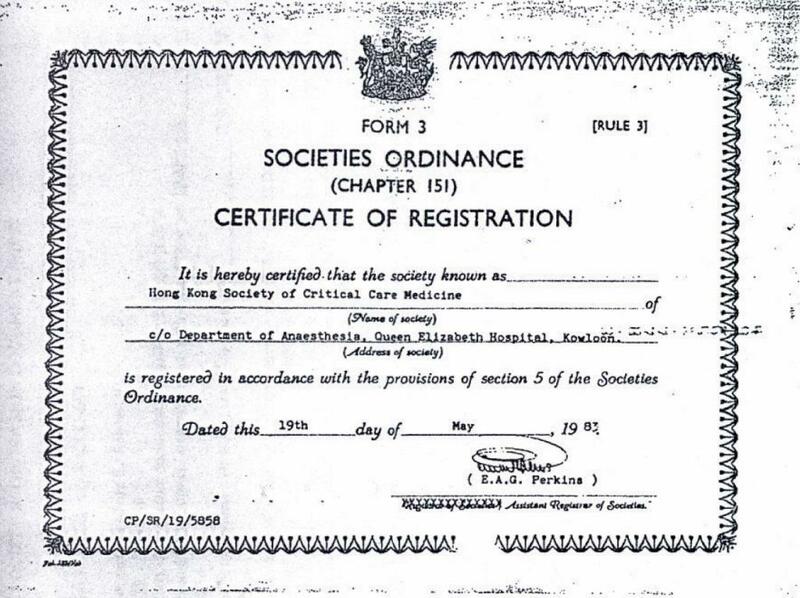 12 December 2010: The HKSCCM was granted exemption under Section 88 of the Inland Revenue Ordinance; the HKSCCM has become a "charitable institution or trust of a public character". Download full letter from the IRD here.